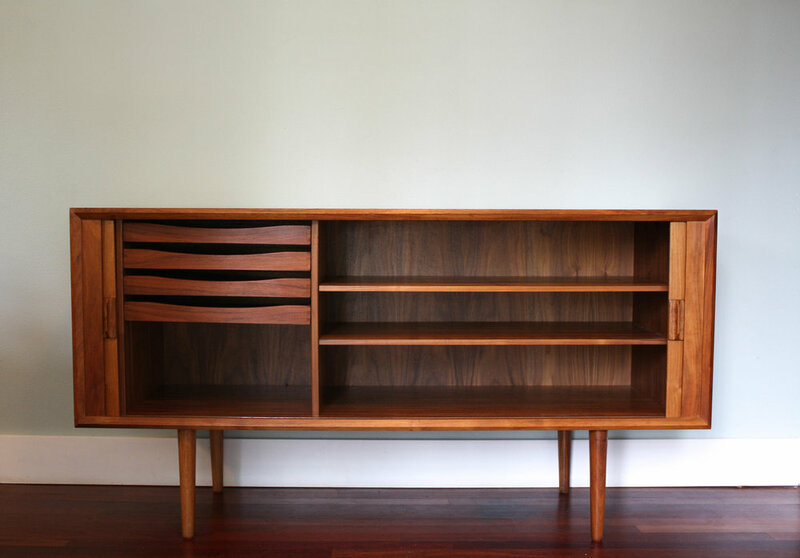 This credenza was designed by Svend A. Larsen for Faarup Mobelfabrik and is finished all sides in some of the prettiest teak you'll ever see. 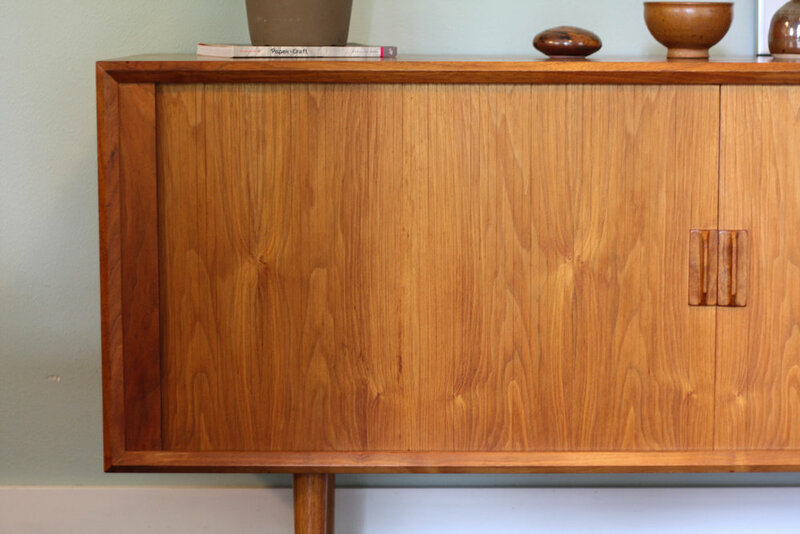 I mean check out that grain!!! 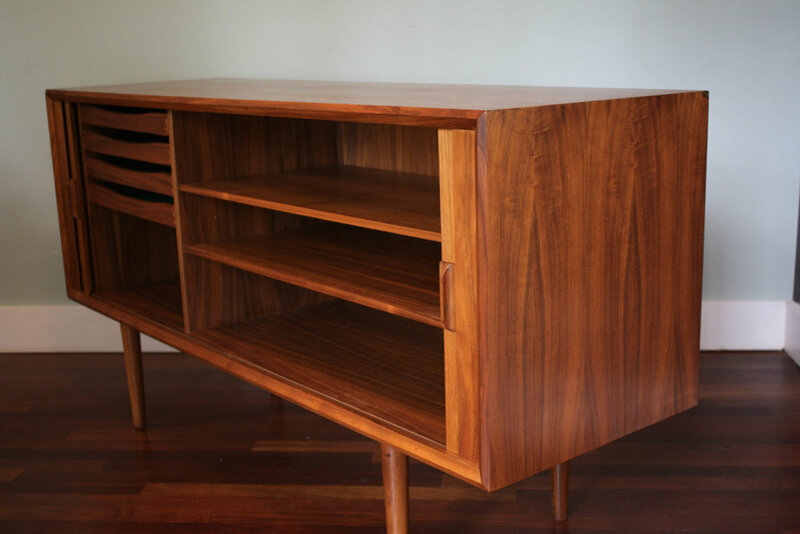 Features a fully finished back side, bookmatched tambour doors, four felt-lined drawers behind the left door and two shelves behind the right. 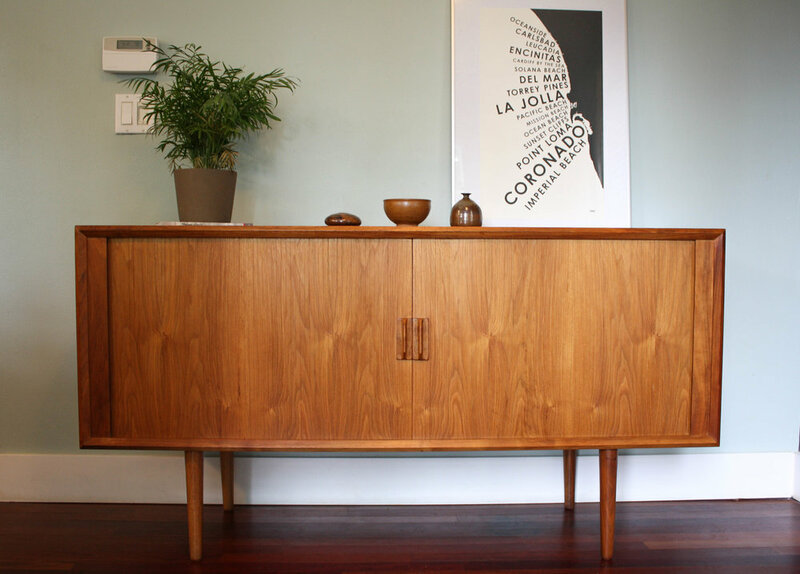 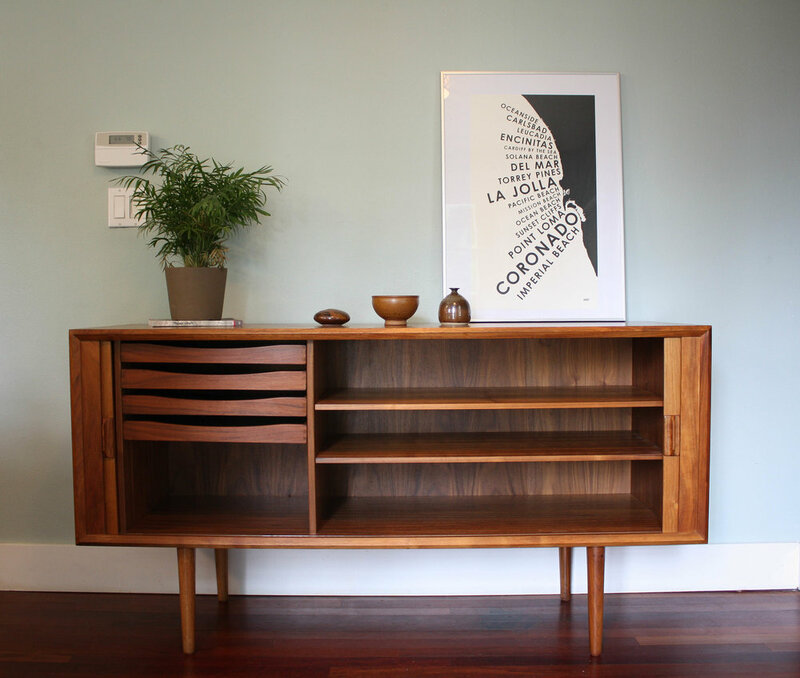 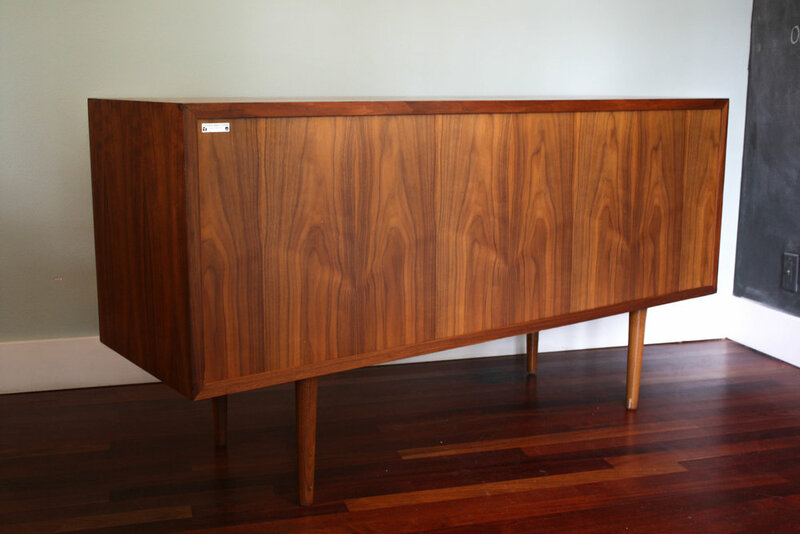 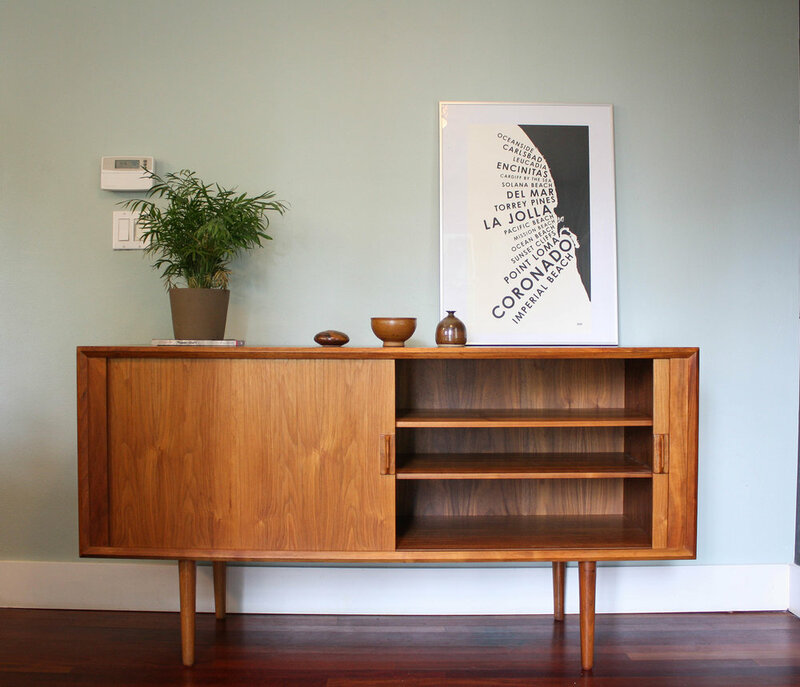 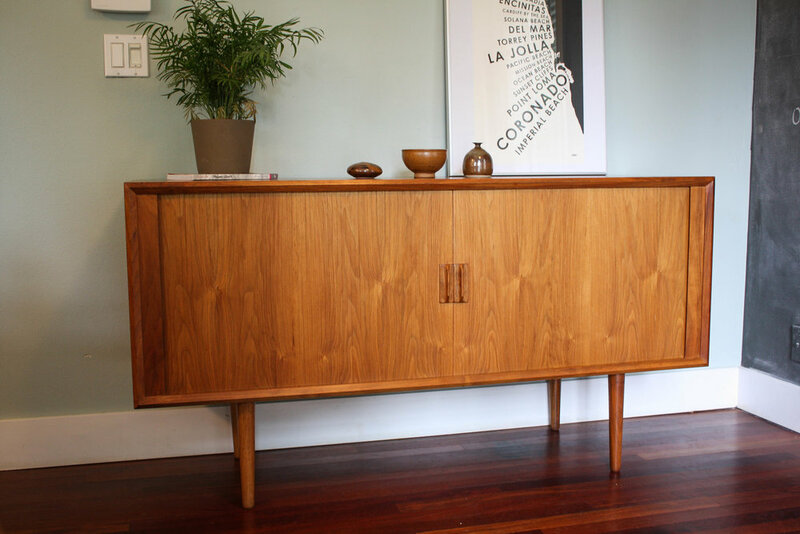 This sideboard has been extremely well cared for and is a great example of this classic Danish design. 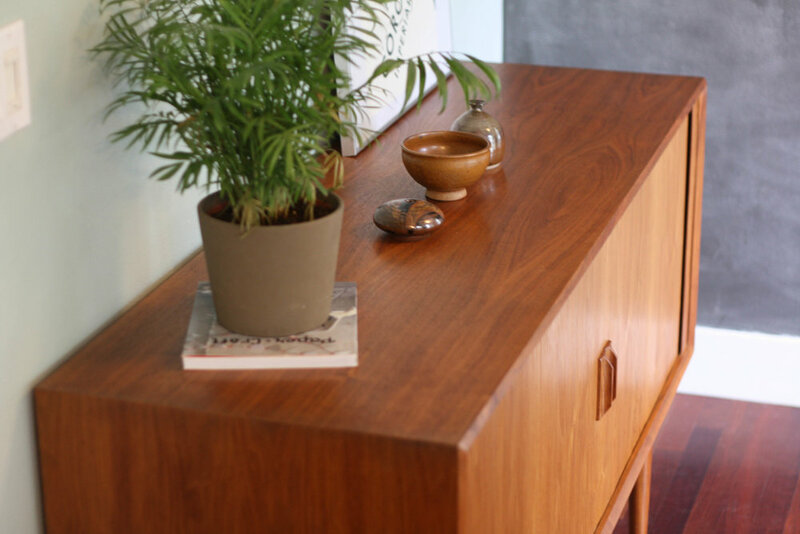 Very minimal signs of use.